Imagine, as you come home and press a button from your car visor, your pathway into the home is lit while your inside lights slowly ramp up, allowing your eyes time to adjust. Your security system disarms and your temperature adjusts after saving energy all day, all while your favorite music begins to play! 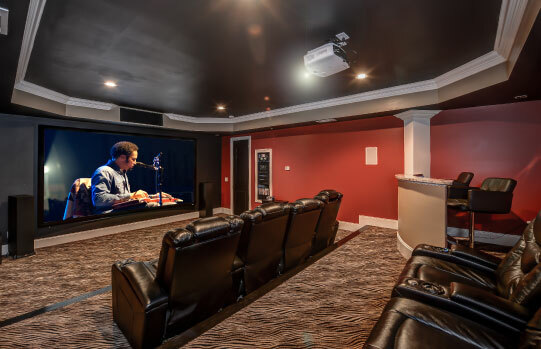 More practically, a home control or ‘smarthome’ system, when set up properly will help you be more entertained, save on energy costs and enhance life safety and security. Please call us today and ask one of our consultants about your options! 770-529-4084. 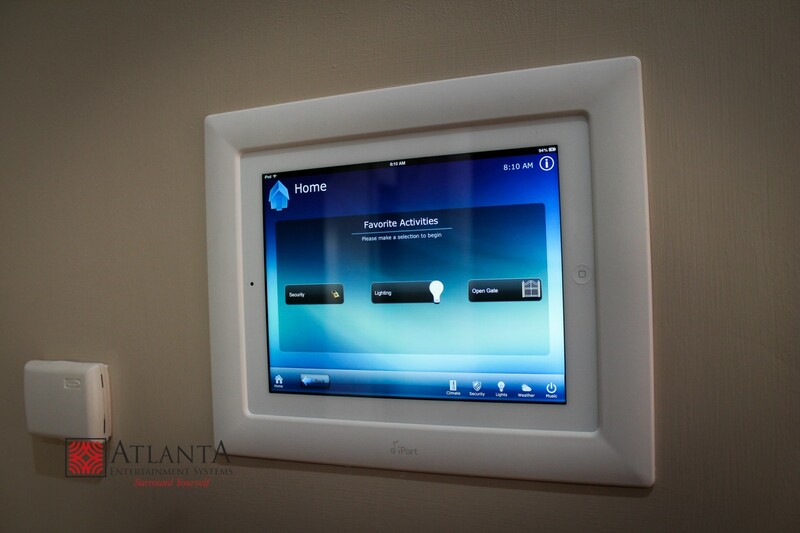 Home automation is the integration of your home’s electronic systems into one main control. No longer a futuristic vision, you can fully automate your home, now, with simple, easy to use controls in the palm of your hand. We’ve all grown familiar with our sprinklers set on a schedule. Some of us have been able to set our coffee makers to greet us with a freshly brewed pot when we walk into the kitchen each morning. 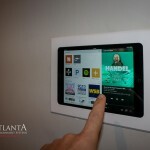 Home automation integrates control of all your home systems. You can integrate your home’s climate, security, cameras, audio, lighting, irrigation, and home appliances, putting control of your entire home on auto-pilot. Withboth energy and time saved, the convenience of home automation helps increase your quality of life. Set a schedule or change it on the go. 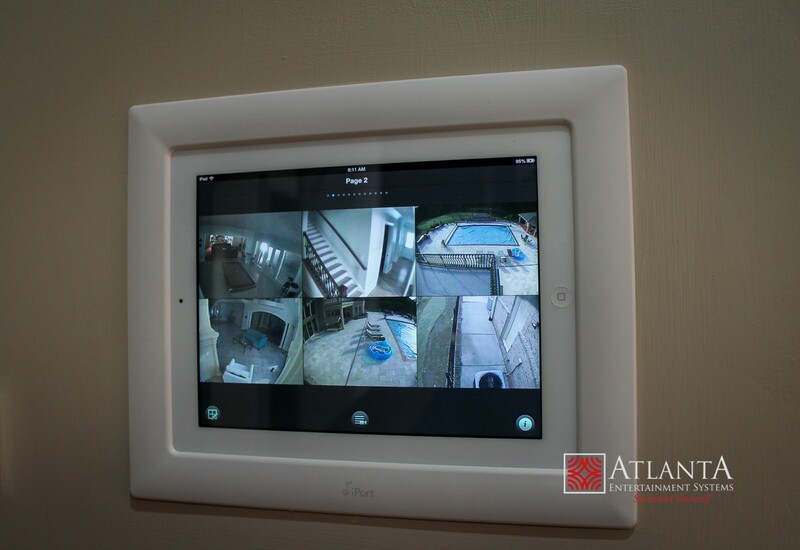 With home automation, you can use your mobile device to view and control your home system from wherever you are. Set your home’s temperature based on your family’s routine to save on energy costs. 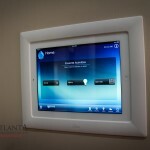 Home automation allows you to make adjustments from your Apple or Android mobile device even if you’re not at home. 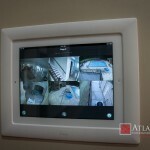 Home Automation lets you monitor your alarm and camera systems from wherever you are. View the activities of your home even when you’re a world away. 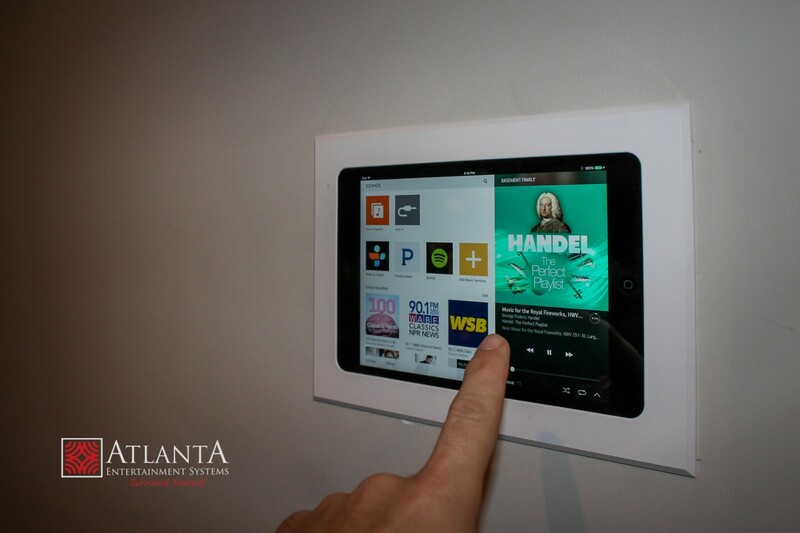 Be welcomed home by your favorite news program, sportscast, tv show or tunes with a programmed home automation system. Control what the kids are watching even when you can’t be there. 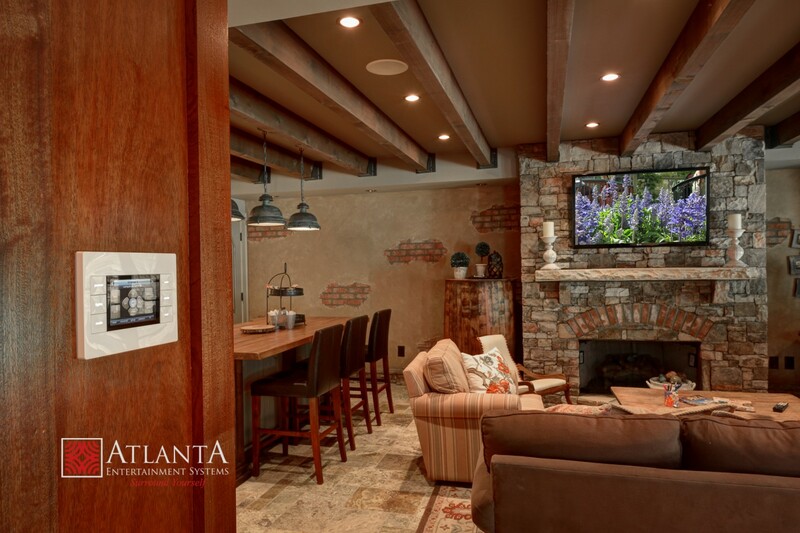 Home automation gives you full control. Set a daily schedule to bring up the lights as you pull into your home. Program a vacation schedule to bring your home to life, giving the appearance someone is home and deterring would be intruders. You can trust AES for all your home automation needs. 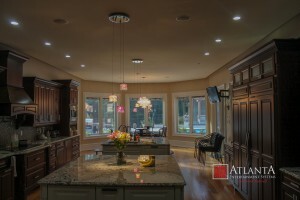 We’ve been installing home automation systems throughout Georgia for years. 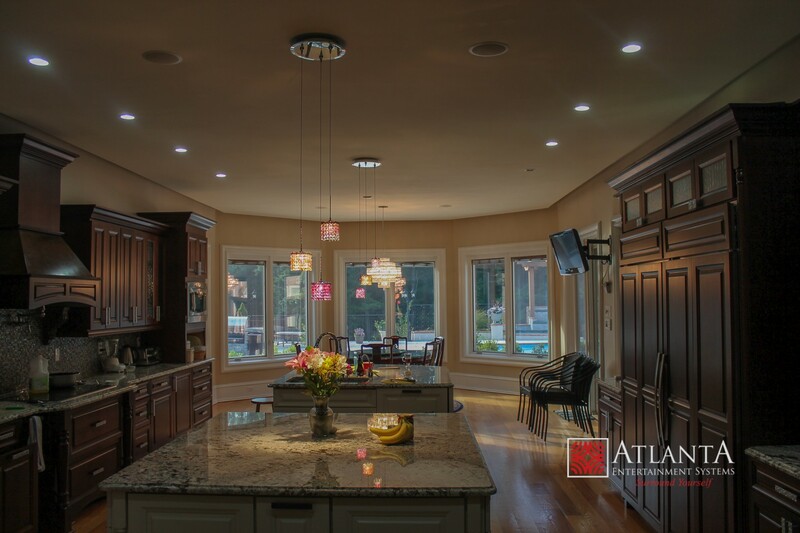 We serve the cities of Atlanta, Acworth, Alpharetta, Decatur, Kennesaw and Smyrna, GA, as well as surrounding areas. We use products by industry leaders RTI, URC and Elan to guarantee your investment.